A big day of racing for the stable at Beaudesert Racing Club today where we have four runners lining up, all to be ridden by international jockey Mark Du Plessis. Three-year-old filly EPICTION has her second run this preparation in the Haack Logistics QTIS Three-Years-Old Maiden Plate (1100m), after spending more than 12 months away from the racetrack. 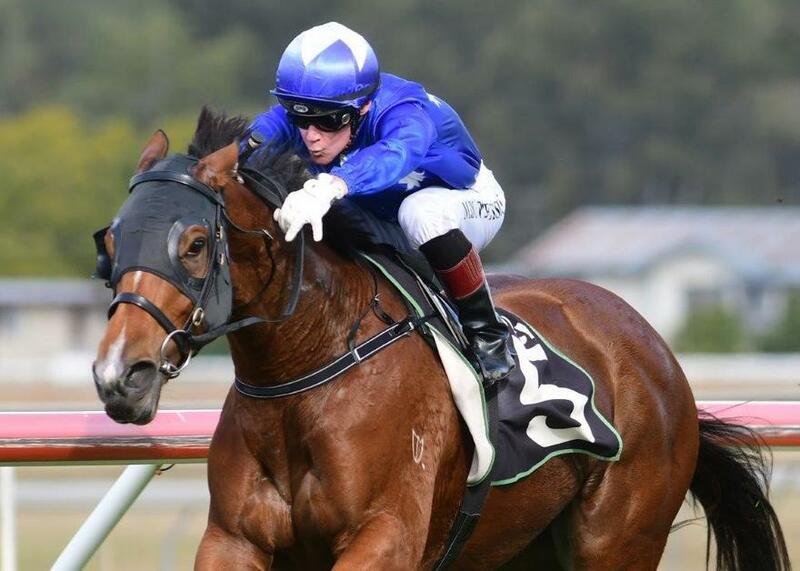 Three-year-old filly HELFUCHI (pictured) will be looking to make it two wins on the trot in the Class 1 Handicap (1200m) after breaking her maiden with a nice win at Ipswich last start with Mark Du Plessis in the saddle. Sprinter ZOUTANO lines up in the Barrier Reef Pools Benchmark 62 Handicap (1100m), looking to improve on a last-start ninth at Ipswich. DISTROYIA has been scratched from the the Class 2 (1630m) and will instead run in the Trackside Photography Benchmark 58 (1400m) after a close-up fourth at the Gold Coast last start over the same distance.